Want to know how to make a DIY compost tumbler? If you're looking for compost tumbler DIY ideas, then check out this list and find out how to build a compost bin. This is a great backyard homesteading project for living a sustainable lifestyle. I've made a compost bin before with pallets and I'd have to say it was great. I was able to get all the compost that I need for my garden but it seems to take time. So I did a little research and discovered compost tumbler. 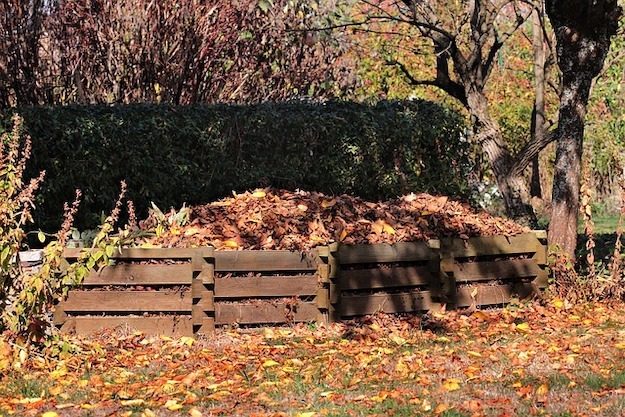 It's a great homemade compost bin idea you can make that airs out your compost pile evenly and gives result quicker. If you want some ideas check out this list. Instantly aerate the waste with this drum composter. Get the instructions here. Want to make a compost tumbler on a budget? Check out this DIY tutorial. Have the benefit of having natural heat from the ground with this compost tumbler DIY. Get the steps here. If you don't want to spend more than $100 for your compost tumbler, try this DIY tutorial. Want to know how to build a compost bin from a 55 gallon barrel? Find out with this video tutorial. Make an inexpensive rolling compost tumbler by repurposing a garbage can. Get the steps here. If you want to have some fun composting? Try this super simple homemade compost tumbler. Get the tutorial here. In case one barrel isn't enough for you, try a double-decker. Get the instructions here. Got some wine barrels lying around? Repurpose them into a compost tumbler. See how here. Did you enjoy our list of DIY compost tumbler ideas? Let us know in the comments section below what your thoughts are on these gardening ideas. Do you have any other DIY projects you’d like to share? Share it with us and we’ll give it a try. We love doing cool DIY projects by making craft projects, home decor projects, upcycling ideas, recipes, tutorials and anything you can do yourself. That’s why we created this site, we want people to be more in touch with their creative side and realize that there’s a lot of things that they can do themselves. We’d love to hear from you and create a community of DIY enthusiasts where any project is just a click away. Stay connected with us on Facebook, Twitter, Pinterest and Instagram!